I couldn't resist putting the map below together to show both 1) the extension of Tenth Avenue south from its original, 1807, terminus at 23rd Street, and 2) the changes in the Manhattan shoreline since 1807. Green is the original, natural (no land-fill) island of Manhattan. Blue is the Hudson River as of Vielé's map of 1865. The heavy irregular line to the left is the current, 2010, shoreline with piers. The street plan is modified from a current tax block map. 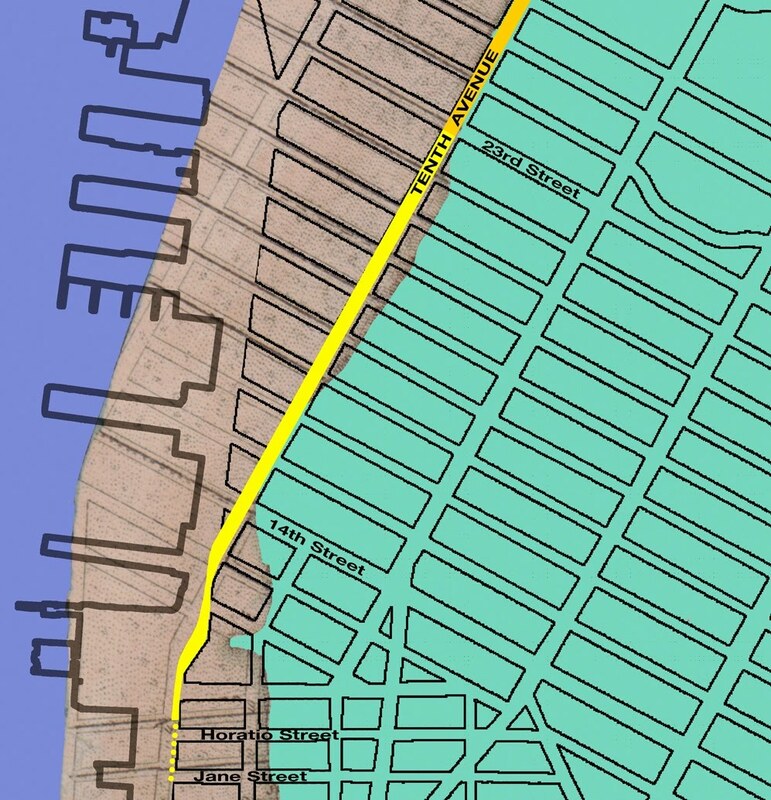 The original Tenth Avenue, as planned in 1807, is the deeper yellow line running north from 23rd street. 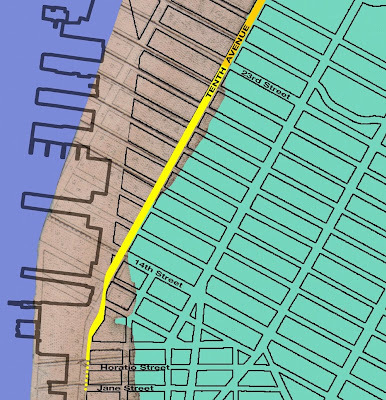 The subsequent extension of Tenth Avenue south to Horatio Street is indicated by the lighter yellow line. The yellow dots from Horatio Street to Jane Street indicate the apparent (but not official) extension of Tenth Avenue as experienced by a pedestrian. 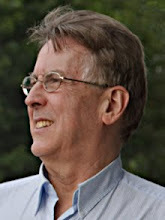 Pictures and discussion of Tenth Avenue below 14th Street coming soon!